We're Dedicated To Your Rights & Freedom Trial-Tested Defense for State & Federal Crimes Start Your Defense Today! Have you been accused of a federal, state, or white collar crime in the state of Georgia? Entrust a proven team of Atlanta defense attorneys to fight for your freedom. Nick Lotito and Seth Kirschenbaum have fearlessly stood up for the accused throughout the Peach State, for 60+ years. We know how alarming harsh criminal charges and conviction can be when you’re faced with them. That’s why we go above and beyond to work the outcomes of our clients’ cases in their favor. Trust us to do everything in our power to protect your rights. We ensure that we serve our clients' needs to the best of our abilities. As competent defense lawyers and former federal prosecutors, Nick Lotito & Seth Kirschenbaum have spent many years in the courtroom, fighting hard on clients' behalves. 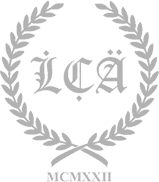 Our founding attorneys are also well-recognized and highly esteemed by the Georgia legal community. Ready to discuss your criminal defense matters with Nick Lotito and Seth Kirschenbaum? All you have to do is pick up the phone. Call (404) 471-3177 now. 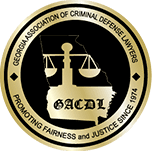 Well-versed in state & federal crimes, our skilled and seasoned Atlanta criminal defense lawyers know what it takes to reach favorable outcomes for our clients. Nick Lotito & Seth Kirschenbaum Are the Real Deal. When our Atlanta Criminal Defense Attorneys choose to handle a new case, we devote ourselves to seeing it through to the end. We make it a priority to meet clients where they are, taking the time to understand the complexities, facts, and available evidence about their legal matters. Nick Lotito and Seth Kirschenbaum have decades of experience pursuing justice for our clients, before the courts of law. We know the tactics employed by the opposing side to downplay our admissible evidence. This insight equips us with the ability to craft the most effective defense strategies tailored to the cases we handle. Learn more about our top-notch legal services by watching this video. [He] did an outstanding job of representing me...[I] was able to get my life back on track. I would recommend Seth without hesitation. He is very knowledgeable and has a very big heart. Exactly who you want on your side.